In the latest Unions21 podcast, Simon and Becky tackle the issue of how to ensure that collective worker voice is embodied in the UK’s industrial strategy -both a live and challenging issue. To get a different perspective, we spent some time with the Shadow Minister responsible for this policy area, Labour’s Chi Onwurah talked about this and her work as chair of the All-party Parliamentary Group on diversity and inclusivity in STEM, Also in this episode: the challenge of organising in Amazon, four day working weeks (or not) at the Welcome Trust, and how to get your U21 Conference tickets. What Makes NHS Employers Tick? 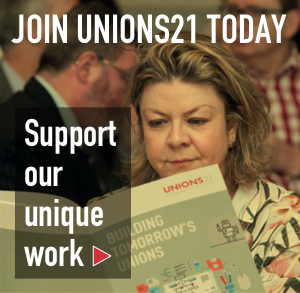 In the latest Unions21 podcast, Becky and Simon talk to Danny Mortimer – chief executive of the NHS Employers’ organisation. The lack of co-ordination and appetite amongst employers is frequently cited as a major inhibitor of good industrial relations and collective bargaining. So, when the lead negotiator for the largest group of workers in the country offers to spend some time sharing his thoughts, that seems a good opportunity. In the new Unions21 podcast, Becky and Simon catch up with Paul Day of the Pharmacists Defence Association Union. They last spent time with Paul a year ago, when the PDA had just won the first-ever ballot to derecognise the distinctly non-independent management-controlled in-house 'union' for their pharmacists. The first in a new series of Union21 podcasts is here. Becky and Simon talk to Andrea Fromm and Kirsten Windelov of New Zealands PSA union. Plus: the PDA's victory in their campaign for recognition from Boots, and the outlawing of zero-hour contracts in Ireland. Union representation is the most effective way for workers to ensure their voices are heard but we must find new ways of collective negotiation to help address the serious challenges facing the UK economy and labour force today - read our latest blog by Melanie Simms, Professor of Work and Employment, University of Glasgow. Unions have played an important part in spreading the Living Wage in parts of the economy where they are present, but could they do more? 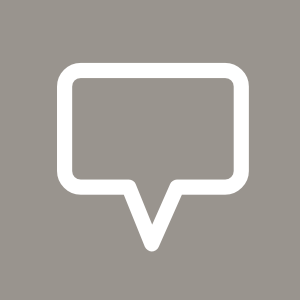 Collective Voice in a post Brexit UK? Regardless of the final Brexit outcome, the UK needs to begin to determine what kind of economy and labour market it wants in the future. We need an honest conversation on how we can address stagnant wages, long hours and low productivity. New Zealand stands out on the world stage as a government proactively looking to extend employment rights. The Labour government has already made significant progress on reforming its employment framework and establishing new approaches for a rapidly changing world of work.